Is Mauritius in Africa, asks Dawn Jorgensen? We’re gathered around a table enjoying dinner while the warm sea breeze catches my shoulders, water laps below the wooden deck and plates of food infused with rich Indian flavours arrive by generous portion. 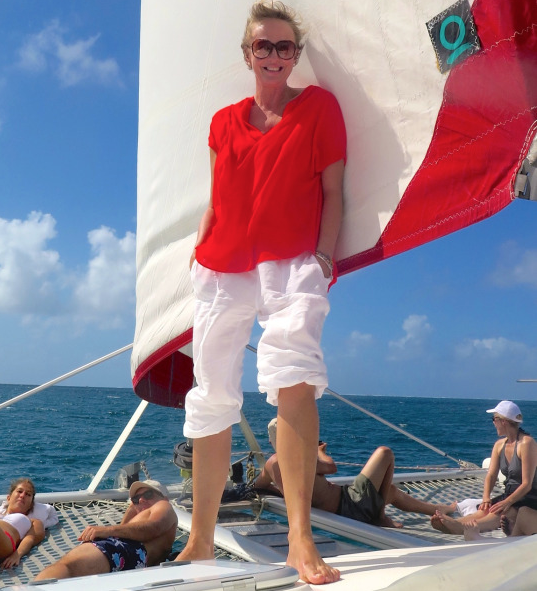 Laughter and lightness abounds, the mood is relaxed and my sun-kissed nose is further evidence of a relaxed day on the water, embracing all that is wonderful about island living. Here, from the lush green of tall trees and dense ferns, you will find rolling hills thick with bird-life. I was endlessly surprised by how green the island is. There is a half day hiking trail you can take; while there, remember to look out for the rare pink pigeon and Mauritius kestrel, both species saved from extinction. I’m not expecting you to take my word for it, instead visit the Rhumerie de Chamarel, a beautiful estate to the south-west of the island. 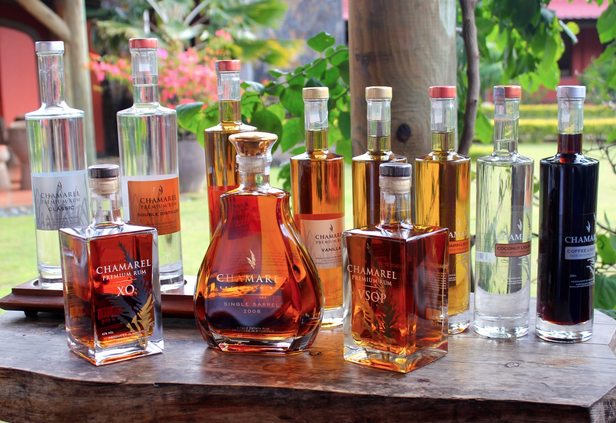 A tasting tour of their world-class range of flavoured and casket-aged rums will leave you craving more samples, whether it’s of the vanilla infused or double distilled offering. One of my Mauritian highlights was spending a day with Catamaran Cruises. We set sail towards the coral reefs, gaining good perspective of the hills and mountains that this island coastline is known for. Offshore and in a place of tranquility, we dropped anchor and were able to snorkel vibrant coral reefs before a delicious lunch, prepared on board. The epitome of indulgent island living. When travelling, it’s always important to see where the real people of the city meet, shop and eat. The capital, Port Louis, has its main market or bazaar downtown on Farquhar Street. It's a real must visit. 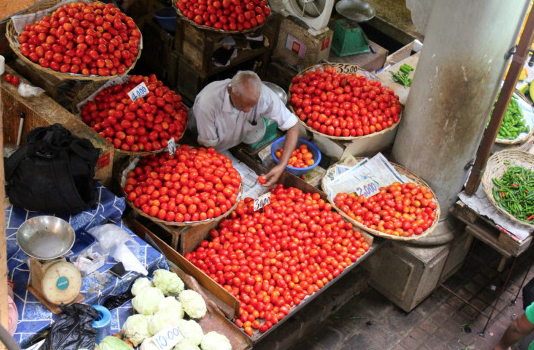 Here traders boast fresh produce, the thick smell of earth hangs in the air and the flavours are bold, reminiscent of a time that pre-dates overproduction. Feast on juicy pineapple chunks and drink from a freshly hacked-open coconut before heading upstairs to the ‘Made in Mauritius’ stalls. Saris, T-shirts, baskets, wooden and traditional handicraft products, local jewellery and souvenirs are available at a very good price. Don't be afraid to haggle, it’s expected and can bring the price down by almost half. Next to the market is the large shopping mall ‘Le Caudan Waterfront’, home to abundant stores, takeaway food stalls, restaurants and museums, including the Post Office Museum and Shell Museum. It's a Mecca for visiting shopaholics, although I much prefer the buzz of the main bazaar, buying from independent traders and supporting the local industry. 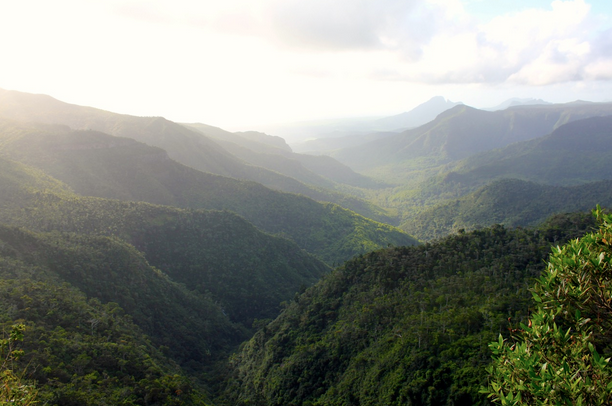 The Mauritius National Botanical Garden is one of the country's most visited attractions. Located in the district of Pamplemousses near Port Louis, it was initially opened as a private garden by the French governor of Mauritius nearly 300 years ago and stretches across endless acres of land. There’s much to see but, if for the time poor in particular, the famous Baobabs and impressive Giant Water Lilies are must-sees. 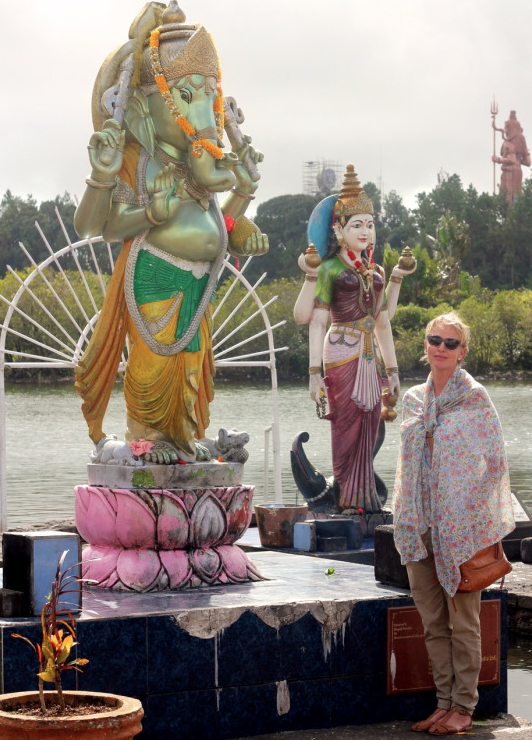 With 70% of the Mauritian population Hindu, there are temples to be seen everywhere. Their intricate detail in varying pastel shades is a common sight on the island, as are the little spirit houses with offerings outside many of the homes. There’s a real charm to it, a spiritual enlightenment that hints of deeper meaning. The most sacred of all is the Grand Bassin or Ganga Talao, a blessed lake that sits 1,800 feet above sea level and is just over a mile east of Le Pétrin – one of the most important Hindu pilgrimage sites outside India. There is a temple dedicated to Lord Shiva and other Gods including Lord Hanuman and the Goddess Lakshmi. All year round devotees and visitors pay homage here, collect water, leave flowers, coins and gentle kisses before entering the temple for a blessing. Mauritius has a very established offering of accommodation from luxury resorts, affordable hotels promoting package deals for the whole family. I stayed at the One&Only Le Saint Geran, which celebrates its 40th birthday this year and is located on a private peninsula along the island’s east coast. Oh and if you’re still wondering, yes Mauritius is an African country. Which makes this Cape Town resident mighty proud. Want to experience it for yourself? Browse our Mauritius holidays here. Learn more about the island here from Tourism Mauritius.